Fall has always been my favorite time of year, not because of Halloween, but because of the outdoor sights, sounds and smells of the season. The leaves cling to the branches in a kaleidoscope of colors—burnt orange, burgundy, gold and olive. When they waft to the earth, they create crisp piles through which young feet (or older ones!) like to shuffle. When you stroll around the block, you inhale the pungent chimney smoke rising into the air from the logs in your neighbors’ fireplaces. 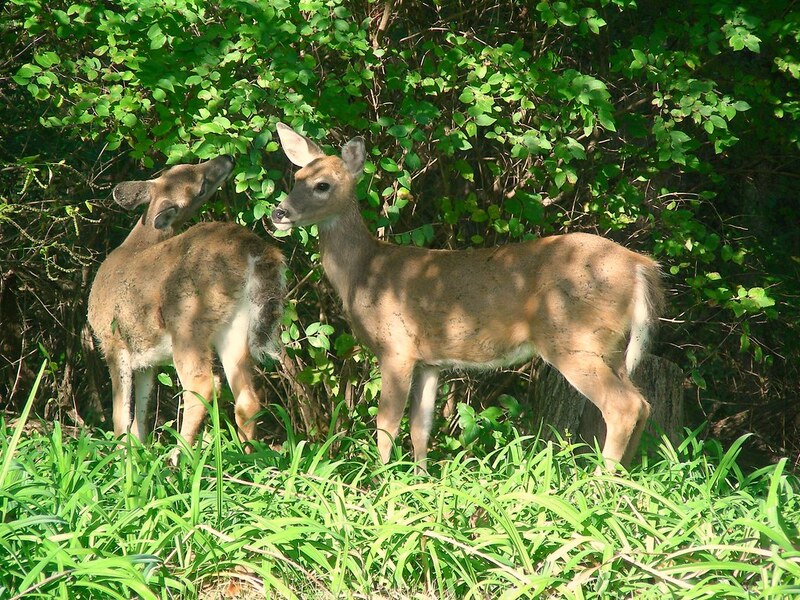 And if you’re lucky, you’ll also catch the deer at dusk, nibbling the sweet stems from summer’s remaining day lilies. To me, Halloween marks the end of fall and hails the entrance of winter. Both here and in Wisconsin, where I grew up, Halloween is often so cold that you can see you breath mist as you traipse from door to door. Children wear long johns or sweat pants to keep their legs warm, hoping they won’t have to hide their costumes beneath coats or jackets. In our family, you went trick-or-treating when you were in kindergarten or first grade, and then you gave out treats at the door as you grew older. 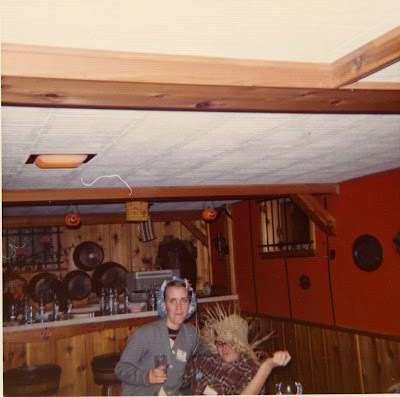 My brother Mark, like Peter Pan who did not want to grow up, had a rubber gorilla mask he donned one year while he attempted to scare our little visitors. In any event, our family’s Halloween nights were for the very young. 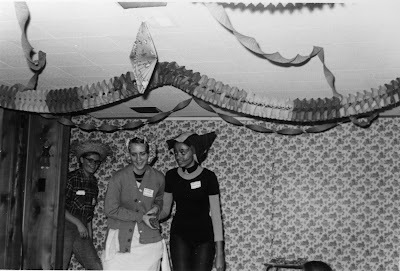 When I was 16 years old and announced to my parents that I wanted to host a costume party, I think everyone was ready for a change. My friend Pat, a talented artist, volunteered to design paper wall decorations and helped me hang them. 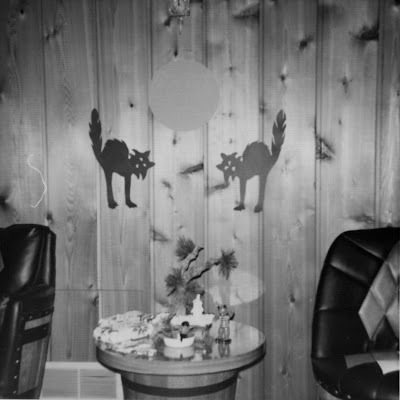 My mother and I planned the menu and set a festive table, and my father and brother set up an acoustic system for a haunted house in the basement. Crepe paper streamers and spider webs were hung everywhere, along with lanterns. Everyone brainstormed activities. And, of course, we purchased prizes for all the guests. When the big day arrived, everyone was appropriately dressed. There was Donna as Mr. Donut, Debbie the Barefoot Nurse, Pat the Rat, Bev the Washer Woman, Nancy the Pumpkin, Serenella the Indian, Luwanna and Teri as the Black and Pink Panthers, Sue the Farmer, Donna the Belle, and Marcia as Mickey Mouse. I guess I was the Queen of Hearts; regretfully I have no photos of myself, since I was the photographer. Before long, the foosball and checker tournaments were in full swing. 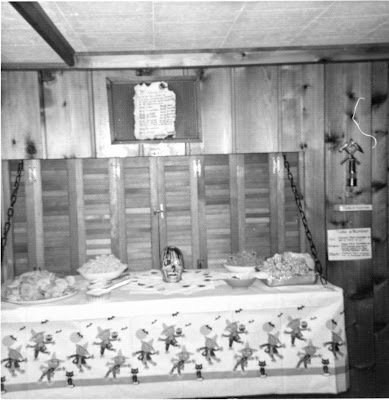 In the darkened laundry room, my friends and I sat in a circle and joined hands for a mock séance, giggling nervously when pre-recorded shrieks and spooky sounds were piped into the space. I recall at least one silly skit that was performed. 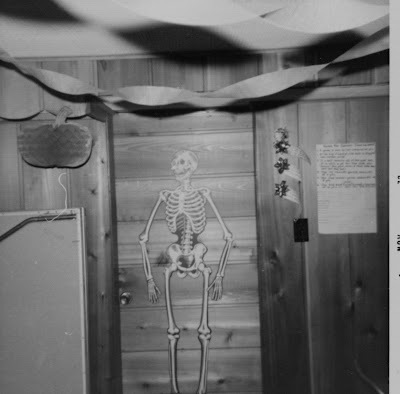 We played Pin the Bone On the Skeleton, bobbed for apples, and generally made fools of ourselves. 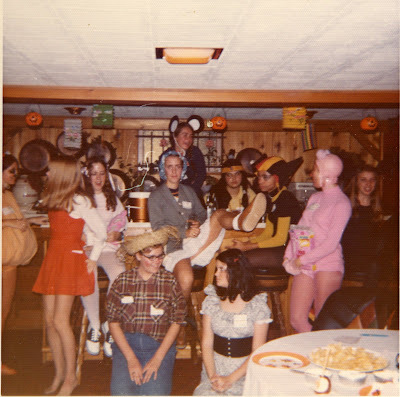 Today I wonder if the Halloween of 1972 is so memorable because it differed so greatly from most other trick-or-treat nights, or simply because it was so much fun to plan together as a family. That year, however, it was the best Halloween ever!